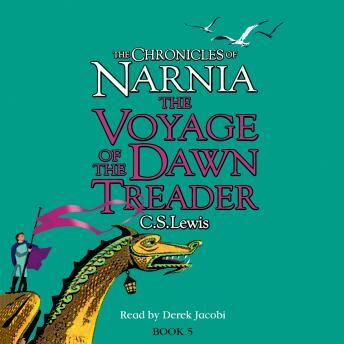 The fifth in the series of the classic fantasy tales - The Chronicles of Narnia. A complete and unabridged edition of this enduringly popular Children's book. "Stop it!" cried Eustace. "It's some silly trick you are playing! Ow!" A great cold salt splash had broken right out of the frame and they were breathless from the smack of it, as well as being wet through. On 9 December 2005, Andrew (Shrek) Adamson's live-action film adaptation of The Lion, the Witch and the Wardrobe will be released by Disney, and it is already being hailed as the biggest film franchise of all time, guaranteed to appeal to adults and children across the globe. The second film is already in development.